Should You get Replacement Windows Before Relocating? Brock Doors & Windows Ltd. Should You get Replacement Windows Before Relocating? If you’re planning to list your home and are open to the possibility of a home improvement project before officially putting it up for sale, should you consider replacing your windows? There’s no doubt that it can make sense, but it will take a tangible investment for a Toronto, ON replacement window project. Some statistics show that you can recoup maybe around three-quarters of your replacement windows expenses if you sell your home. As far as home improvement projects are concerned, that’s a pretty good return. This means that a window replacement project is at least worth giving serious consideration to before you move. Before you decide on what to do, however, consider some of the benefits of undertaking a window replacement project before putting your home up for sale. 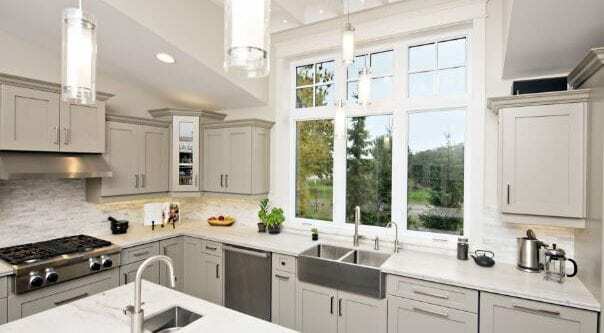 It’s important to understand just how highly prized newer windows are to homebuyers. Most people are sick and tired of all the money they spend on their utility bills, especially during the winter and summer when the temperatures can get pretty extreme. When homebuyers view new windows in your home, they’ll immediately know that they will save on heating and cooling expenses compared to buying a home that has older windows in need of repair or replacement. Connected with energy efficiency is environmental awareness. When your windows are functioning properly, your heating and cooling units will not have to operate as hard. It’s, therefore, possible to reduce your carbon footprint simply by getting replacement windows. Don’t think that this fact will be lost on homebuyers who view your home. Environmental awareness is at an all-time high, so a home with energy efficient replacement windows will get high marks from homebuyers who want to limit their impact on the environment. Homebuyers who view home with newer windows know that they won’t need to worry about having to change the windows. No one wants to move to a new place and then have to change the windows soon thereafter. That’s an inconvenience that many homebuyers would like to spare themselves. So replacing your windows before you list your home will help. 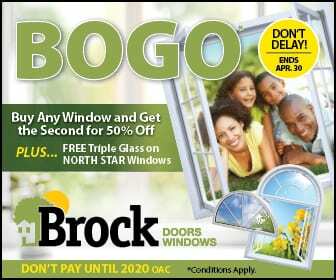 If you’re interested in undertaking at Toronto, ON window replacement project before the “for sale” sign is placed on your front lawn, contact Brock Doors and Windows Ltd. We have a wide selection of replacement windows, and our staff will help guide you through the process. When you purchase our products, you’ll only need to make this important investment once. We’re so confident in our windows and doors that we back them with a transferable, limited lifetime warranty. That’s a great selling point that you can communicate to homebuyers who are interested in your home. Come by our North York office, at 288 Bridgeland Ave #1 North York, ON M6A 1Z4. Feel free to stop by, look at some replacement windows, and talk to one of our staff members. You can also call us at (416) 783-3273 for the help you need to get started on the project.